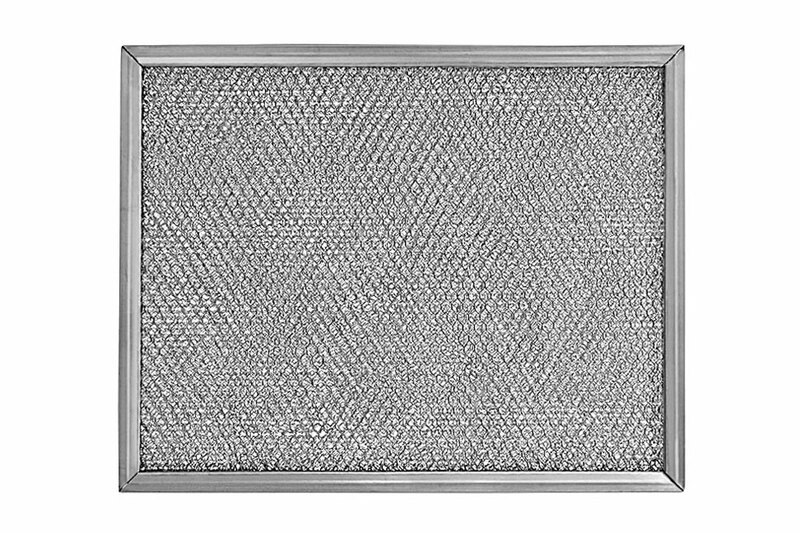 CONSTRUCTION: The Bonded A Filter is a thin, aluminum filter that consists primarily of layers of aluminum slit and expanded into mesh of differing densities. The Bonded Aluminum “fits” material is made of many layers of tiny baffles, bonded together to make a solid pad. The frame is made of lightweight aluminum, roll formed and riveted at one corner. Multiple applications are available for the Bonded A filter including, but not limited to, ceiling vent fans, air cleaners, electronic equipment, computer environment systems, kitchen air exhaust systems, microwaves and wall heaters. Media also available in pads and rolls. The Bonded A Filter has a maximum temperature range of 225 degrees F. Available in 1/8”, 1/4”, 5/16”, 3/8”, 7/16”, and 1/2”. PERFORMANCE: The filter element shall retain 204 grams of dust per 2.25 sq ft on a 20 x 20 filter. Holding capacity tests out at 90.8 grams per foot with an average arrestants of 71.5%. Resistance when clean is .04 wg at 350 FPM. MATERIAL: Filtering element shall be processed from Bonded Aluminum. Frame shall be made from sheet aluminum, commercially known as 3003-H14, .020 thickness. Our stock rectangular Bonded “A” Filters are made to order and have a maximum size of 550 sq. inches, and a maximum width of 24″. Larger custom rectangular Bonded “A” Filters are also available.